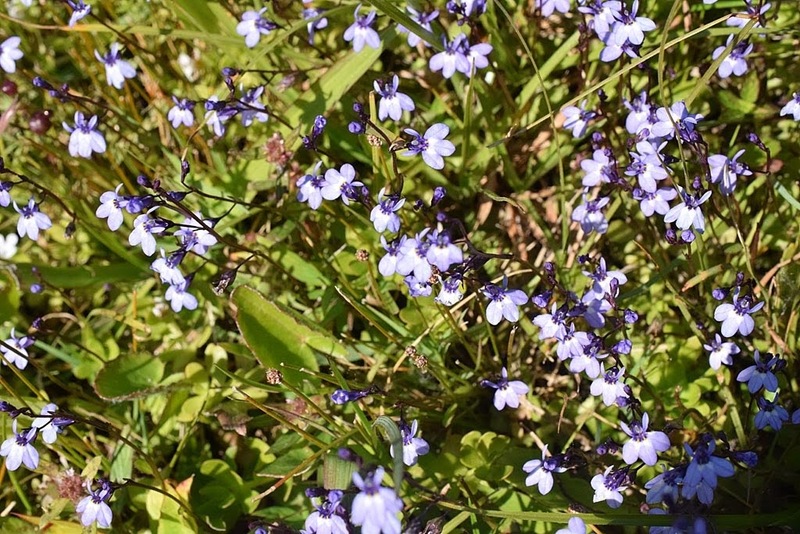 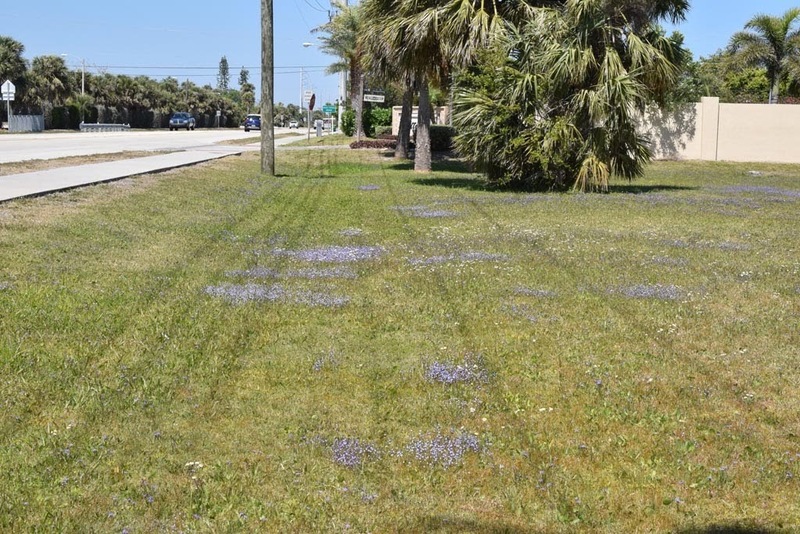 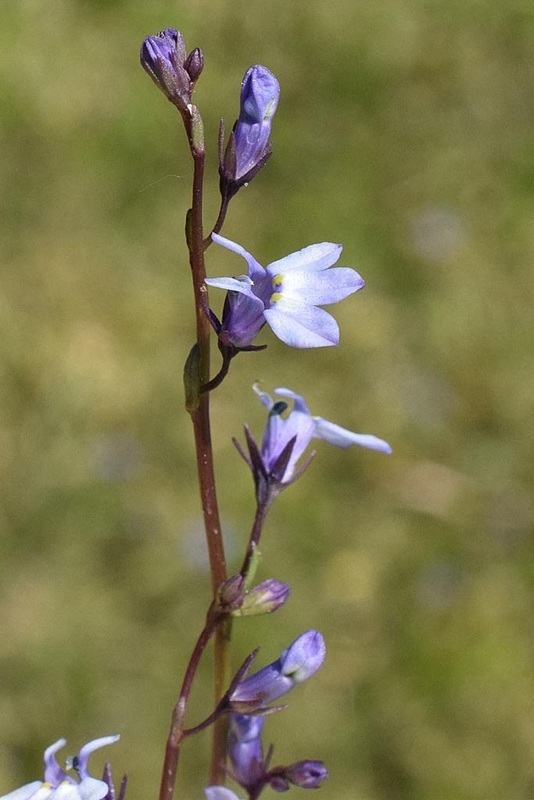 As we drove by the Satellite Beach Post Office on this sunny day, we noticed several large, dense patches of bright blue bay lobelia on the east side of South Patrick Dr. in the vacant lawn north of the PO. 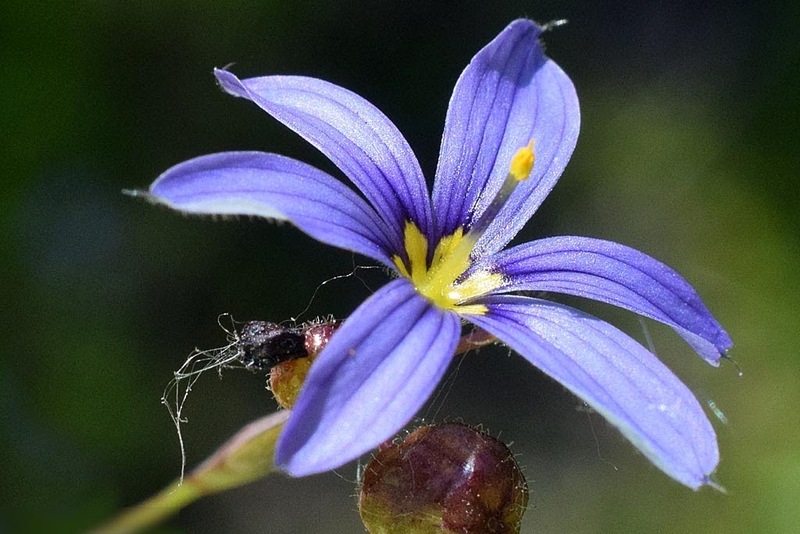 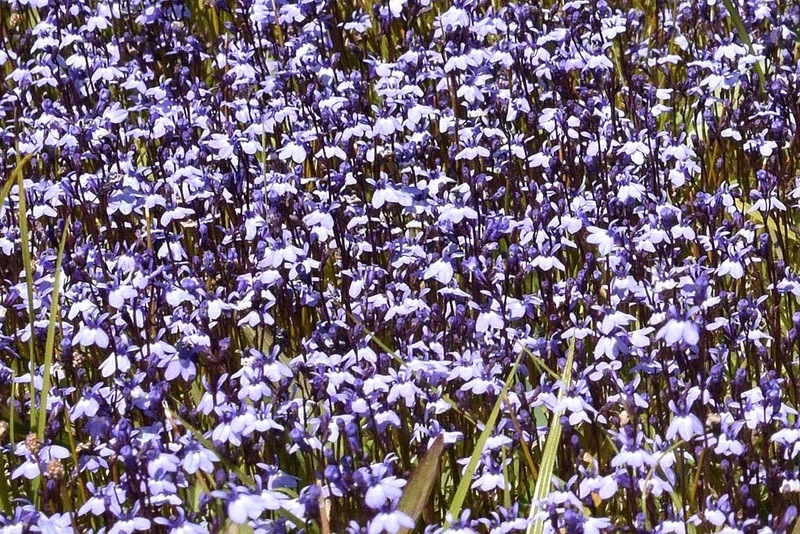 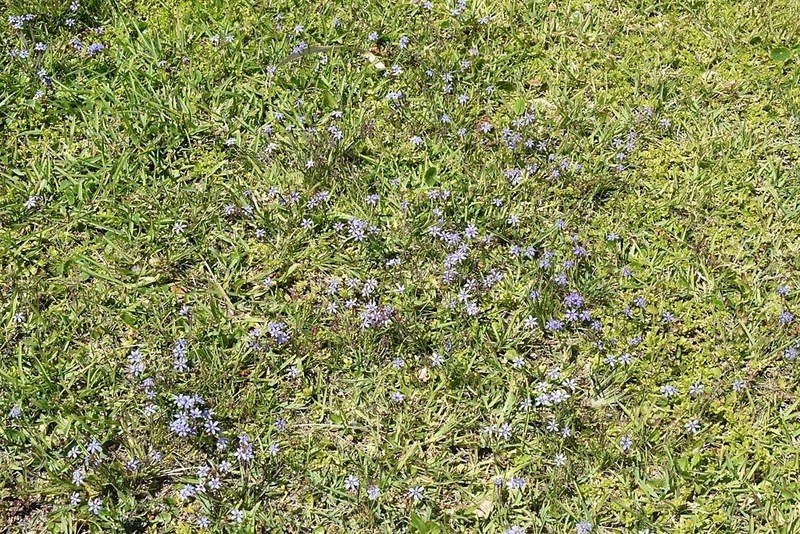 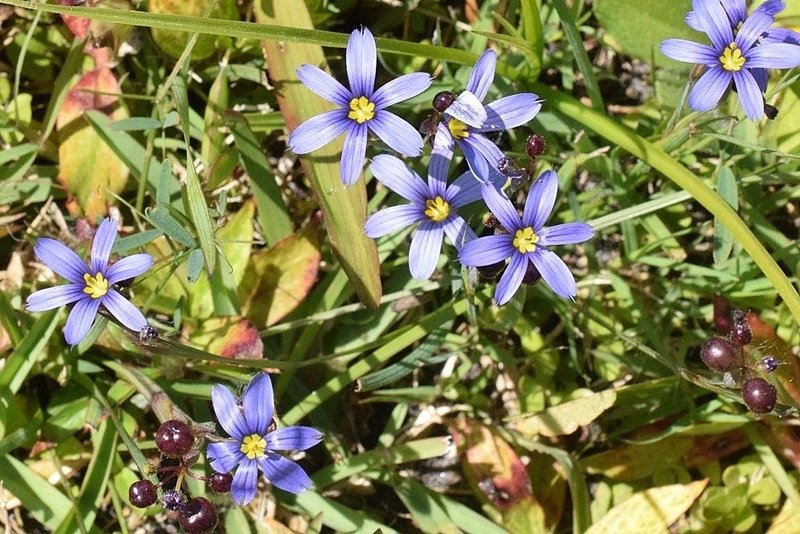 A closer look showed thin patches of blue-eyed grass scattered on the lawn. 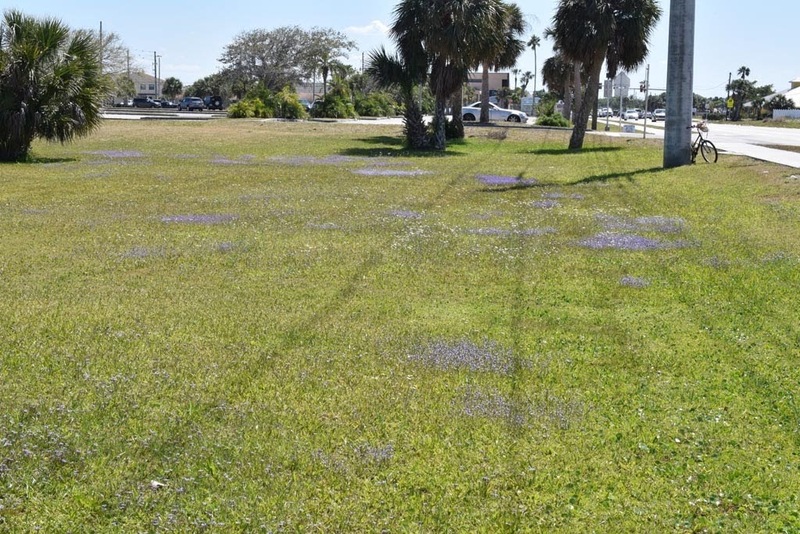 Two days later, the beautiful blue flowers were all mowed down! 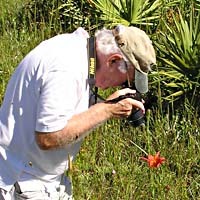 Left, looking north; right, looking south.